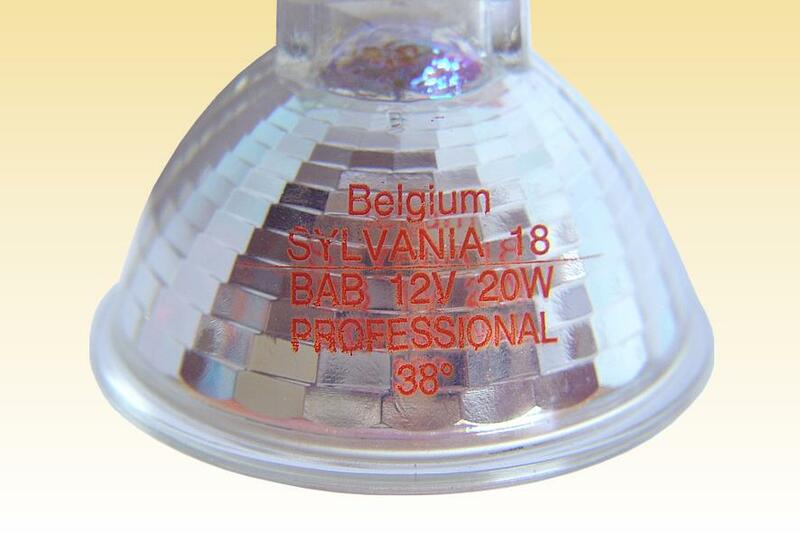 1n 1987 Sylvania made a world first with the debut of Tru-Aim Professional, the world's first sealed dichroic MR16 lamps. 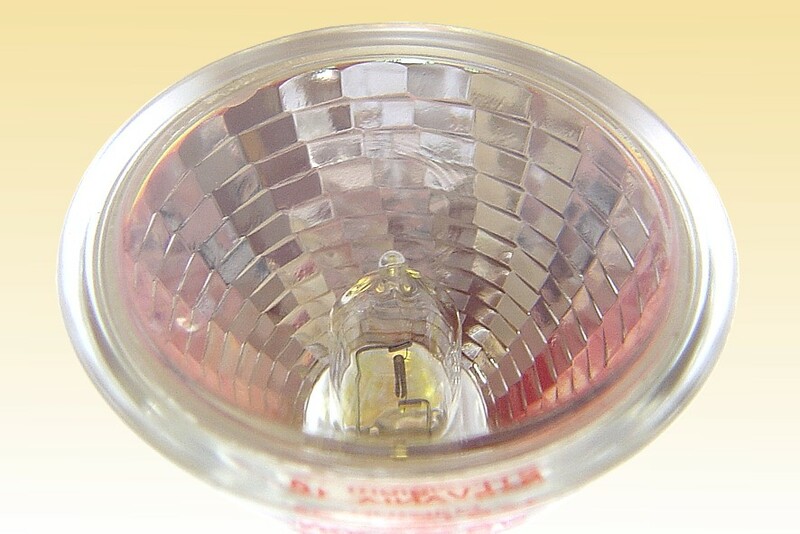 It introduced new levels of flexibility to the luminaire designer by permitting open burning, without the need to enclose the lamp in a fixture and hidden behind a glass window. For the first time it was safe to allow free burning of the naked lamp, a design concept which rapidly swept through retail lighting. 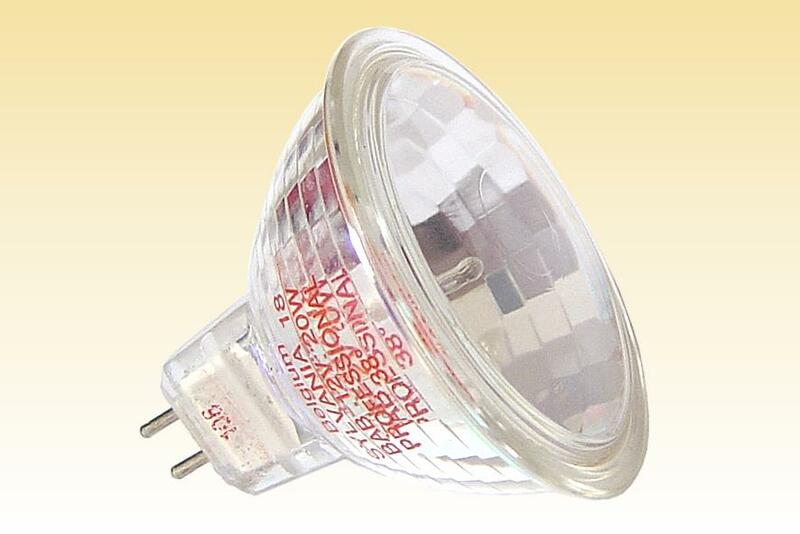 Competitors were swift to follow suit and also offered sealed lamps. However they favoured a clear glass front lens, combined with a the traditional faceted mirror to achieve the necessary beam distribution. Sylvania's Tru-Aim professional employed a smooth specular mirror with textured front lens to set the beam angle. Despite the superior beam distribution it achieved, with no striations or dark spots, the appearance of the lamp itself was rather flat. 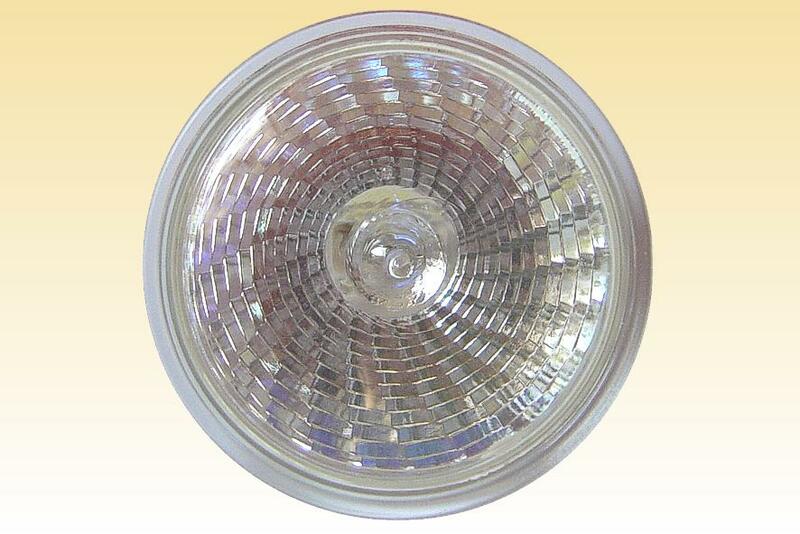 Since the lamp could now be on view customers preferred the glittering sparkle of the facetted mirror, regarless of the frequent inhomogeneity in the light distribution. 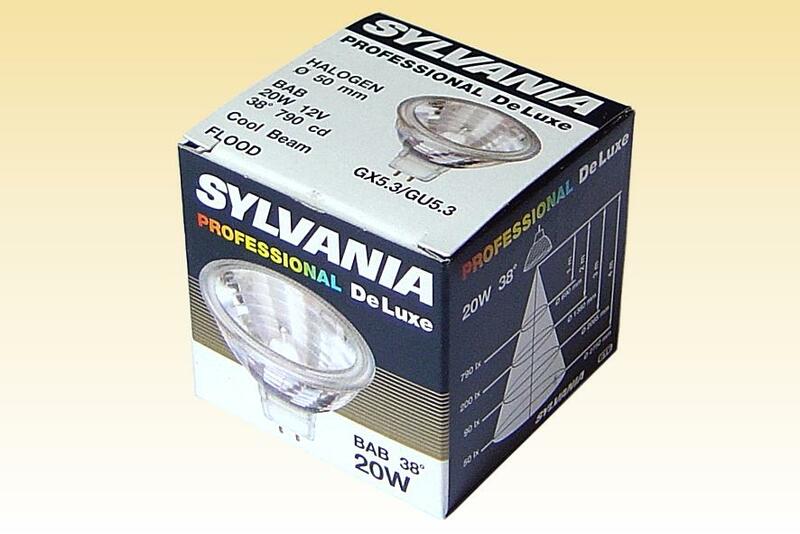 In 1991 Sylvania replaced Tru-Aim Professional with the new Professional DeLuxe lamp shown on this page, following an extensive European survey as to what features customers favoured most. It features a clear lens and introduced the new spiral design of facets. By rotating each successive ring of facets around an axial filament, an impressively high beam uniformity was achieved. This gave customers the sparkle they desired but without compromising on the beam uniformity which had made its predecessor the favourite of lighting designers. 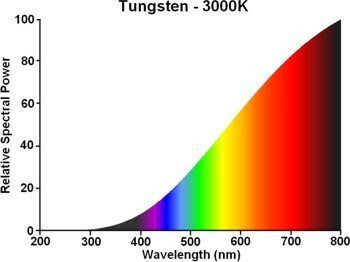 At the same time, life was increased 25% to 4000 hours, and the slotted GU5.3 base was introduced. Overall Length: 48.0 mm 1 7/8"